Hooray! Registration is now open for our early-2018 workshops! 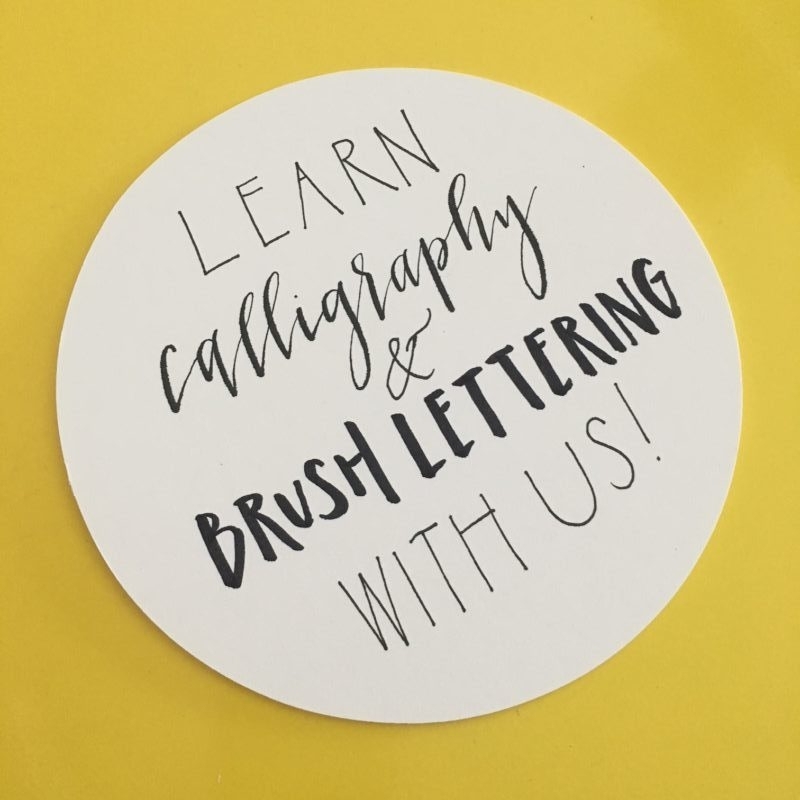 In addition to our signature calligraphy workshop, Introduction to Contemporary Pointed Pen Calligraphy, we have also added more sessions of our fun and colorful Introduction to Modern Brush Lettering class! This winter you’ll find us returning to Washington, DC (teaching at Typecase Industries), Alexandria (teaching at Common Room Studio), Falls Church (teaching at Stylish Patina’s Mosaic District shop), Baltimore (teaching at Becket Hitch) and Charlottesville (teaching at rock, paper, scissors). We can’t wait to be back in these inspiring spaces and are so excited to meet and bring the fun of pointed pen calligraphy and modern brush lettering to even more students! If you’ve taken part in either of our Intro classes in the past, we hope to see you at one (or more!) of our three upcoming Calligraphy Study Table sessions. And exclusively for our past pointed pen students, be sure to check out our Continuing with Contemporary Pointed Pen Calligraphy workshop. As we begin our seventh (!) year sharing our passion with our students, we hope that you will be able to join us for a modern pointed pen calligraphy workshop or a modern brush lettering workshop (or both!). As always, we’ll be keeping the class size super small to allow for plenty of individual attention and instruction, so if you are interested in taking part this winter (or in gifting a class to someone else – a spot in our workshops is the perfect holiday, birthday, anniversary or graduation gift! ), please don’t wait too long to secure your spot. You can find ALL of the details and register for all of our workshops here.